Egg Rock is named so, because it looks out at historical "EGG ROCK" as shown in the picture above. It used to be home to a lighthouse with a family living on it, and to a dog Milo, who swam from Egg Rock to Nahant saving a boy's life. Today, Egg Rock, is home to a dog named Lincoln and the other humans that are fortunate enough to reside here. 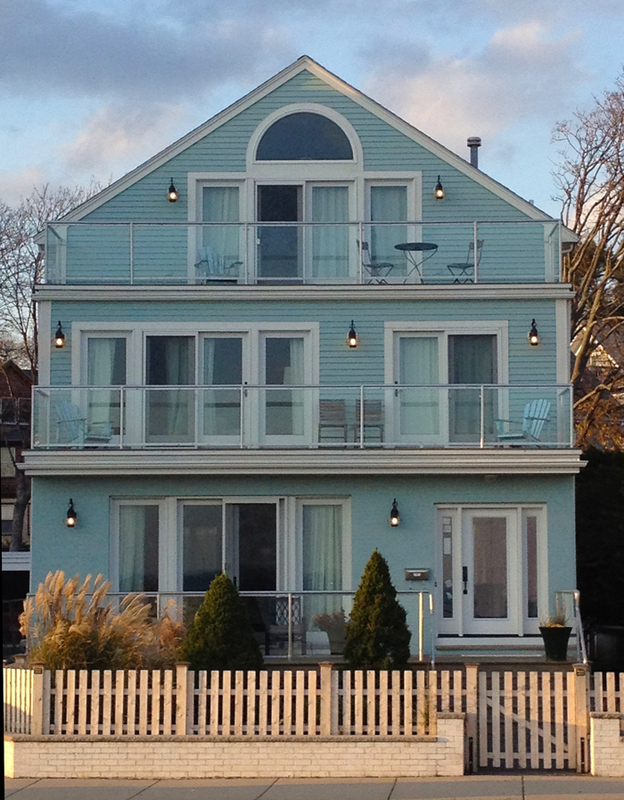 An eclectic beach home with rooms for rent, directly across from the ocean in Swampscott, MA. A beautifully restored contemporary property with 3 large waterfront decks just 12 miles North of Boston. The house is filled with original artwork by local artists. Wifi throughout the house, each room has a flat screen TV and private bath. The property has a penthouse loft apartment with full kitchen, a luxurious bath, and a private deck. The Master Suite on the 2nd floor offers spectacular views of the changing ocean tides of Nahant Bay and Egg Rock.